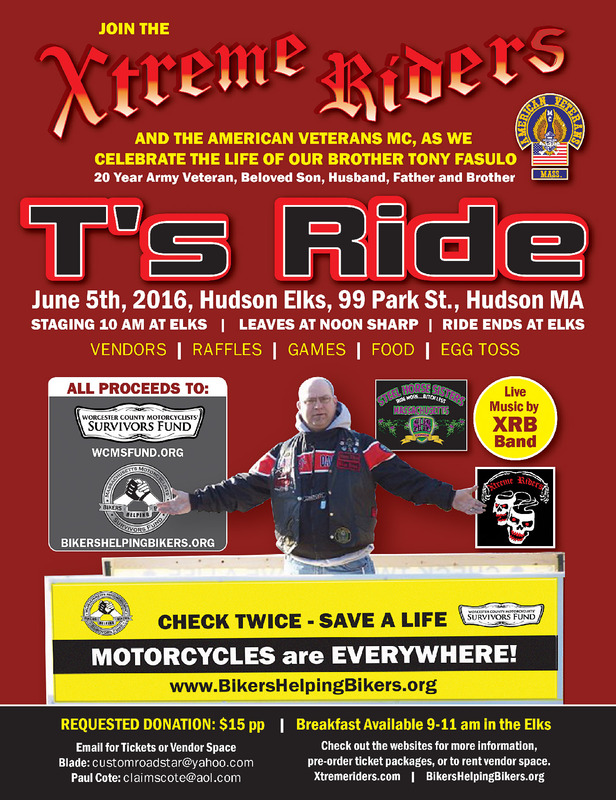 Join the XTreme Riders and the American Veterans MC as we celebrate the life of our brother, Tony Fasulo: 20 year Army Veteran, beloved son, husband, father and brother. Ride or Drive!!!! Just be there for all the games, music, laughs, raffle and more 1-4pm! All proceeds benefit the Worcester County Motorcyclists’ Survivors Fund and Bikers Helping Bikers. Requested donation is $15 per person. Buy your tickets now, securely online, with PayPal.